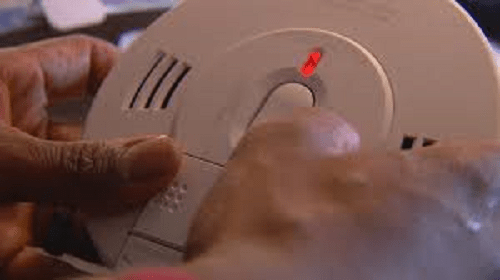 SAN ANTONIO – Starting next year, the makers of smoke detectors will have to meet new, stronger requirements to help eliminate false alarms while you’re cooking. Most home fires nationwide and here in San Antonio start in the kitchen. “It can be anything from the pasta to the pot of beans, it’s a slow cook, to even things like bacon frying,” says Assistant Chief Chris Monestier from the San Antonio Fire Department. But he says the most common reason firefighters cancel a call is that food on the stove caused a false, or nuisance, alarm. “So what people do is to eliminate those nuisance alarms, they’ll take the smoke alarms down. And so we don’t want that,” Asst. Chief Monestier says. In 2020, manufacturers will roll out the next generation of smoke detectors with the goal of reducing false alarms. The technology will make smoke detectors less sensitive to cooking haze. You’ll be able to tell you bought one if it comes with the “UL” stamp of approval from the safety certification company Underwriters Laboratories. The career firefighter reminds us, though: kitchen safety starts with you. “Don’t leave anything on the stove unattended,” Asst. Chief Monestier says. If you tend to get distracted or are worried about an elderly relative, there’s a gadget that’s been around for decades that firefighters recommend. “It’s a canister,” Asst. Chief Monestier says as he holds up the device. It attaches through a magnet onto your vent hood. “And any kind of fire will activate these and an agent comes out and it extinguishes the fire,” Asst. Chief Monestier says. Another new requirement in next year’s rollout of updated smoke detectors will address something else that’s been a problem for firefighters. Modern materials used in furniture and carpets burn hotter and faster. Now, technology is catching up and the next generation of smoke detectors will sense those materials and activate the alarm faster.